This compelling book on the development of herbal medicine presents a fascinating account of the ideas, personalities, advances, and vicissitudes that have shaped the course of medicine and pharmacy. 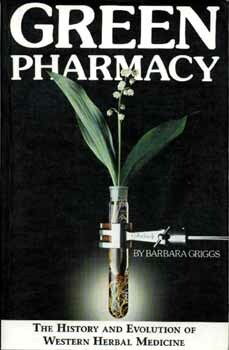 A renowned journalist and researcher in the field of herbalism, Barbara Griggs provides an eloquent and engaging account of the use of herbal medicine from prehistoric times to the present, reaffirming the incalculable value of medicinal plants in the healing arts. Focusing with candor and clarity on the professional, economic, and social forces that have periodically consigned herbal medicine to near oblivion, the author presents a strong case for the cyclical emergence of alternative medicine at times (such as our own) when allopathic methods of treatment have lost their safety and efficacy. "... a modern classiic that can be consulted by all of thosp interested in gaining a keener insight into the trials and tribu!orionj. the pitfalls and rewards, and the history and future of drug therapy from nature." "... a history of grass-roots medicine, researched to the point where those of us who have dabbled in the subiect are left feeling embarrassed at the wealth of source material that we left unread."